The New York Mets welcome in the Cincinnati Reds after dropping three out of four games to the Atlanta Braves. The Mets offense struggled once again as they did not score more than four runs in any of the games. The Reds come off three straight losses in Washington against the Nationals. The Reds took two out of three from the Mets earlier this season. Will deGrom Ever Get a Win Again? Jeff McNeil had a terrific series against the Braves. He put together his first four hit game and had five hits in the series. McNeil has also showcased his powerful bat to all fields and is a solid defender at second base. The Mets are way out of the postseason picture and with the trade of Asdrubal Cabrera, the rest of the season will be used as a tryout for McNeil. The Mets would certainly be happy if he could be their everyday second baseman so they can focus their money elsewhere in the offseason. Jacob deGrom has dominated during day games over his career and he will take the mound for one in the last game of the series. It has been over a month since he last pitched during the day. 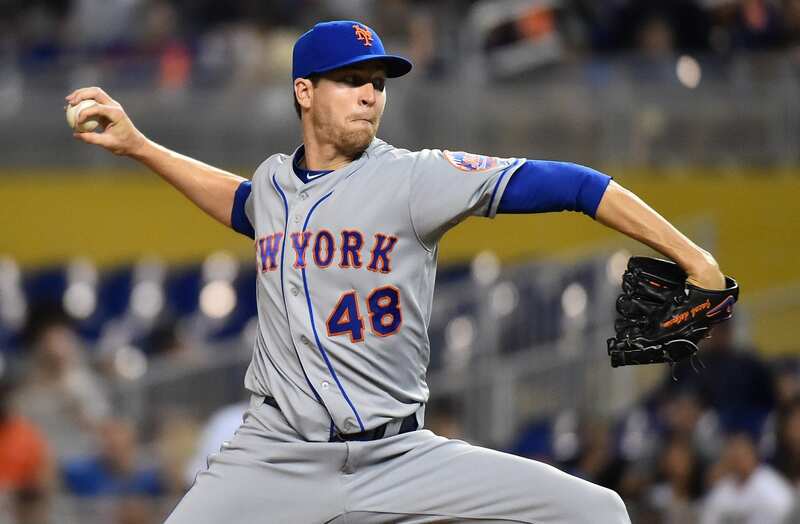 deGrom has pitched to a 1.99 ERA during day games over his career and combining that with his 1.85 ERA this season should lead to another terrific start from the Mets ace. The only problem is will the Mets even score to support him? After starting the season 3-15 and firing their manager, the Reds have gone on to play respectable 46-47 baseball since Jim Riggleman took over as manager. The Reds have very promising pieces in Scooter Gennett and Eugenio Suarez, but their starting pitching is far away from supporting their team. Raisel Iglesias and Michael Lorenzen have shifted nicely from starters to relievers and are also pieces to build on for the Reds future. Surprisingly, the lowest ERA by a Reds starter is Matt Harvey’s 4.79. The former Dark Knight is not going to pitch against the Mets in this series, but it will be his first time back to Citi Field since he was traded in May. The Mets traded Harvey for Devin Mesoraco and both player adapted to their new homes nicely. The Mets will give Harvey a video tribute and it will be interesting to see how the fans greet him.